To those of you who know me personally may know that my father hasn't been well for last six months to one year. The first signs of sickness began in March 2016, when he started losing weight and feeling weak. We started taking him to the doctors, a long series of consultations & tests began. This continuation of physical illness & weakness culminated in a voluntary retirement (VRS) from job. From month of June this year his condition started deteriorating fast. 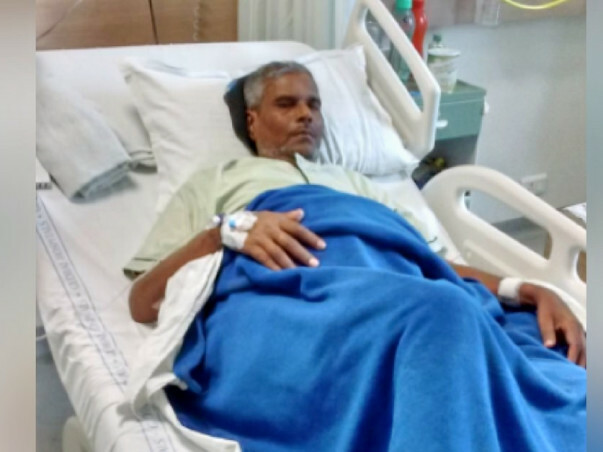 He has been hospitalised for long stretches for about more than five times in the last six months; currently he is in Mumbai's Global Hospitals. In the last one year he has become approximately half of what he used to be and physically very weak. His disease is liver cirrhosis where his liver is not functioning well. Initially he was suffering with fever & diagnosed with jaundice. During initial phase & later stage as well, there was problem related to urine output. This chronic liver disease causes anorexia and fluid accumulation in stomach and feet. So the fluid has to be pumped out of his body artificially which is called as fluid tapping & unfortunately, we had to do this for about ten times. In one year this horrible disease has totally incapacitated my Baba. 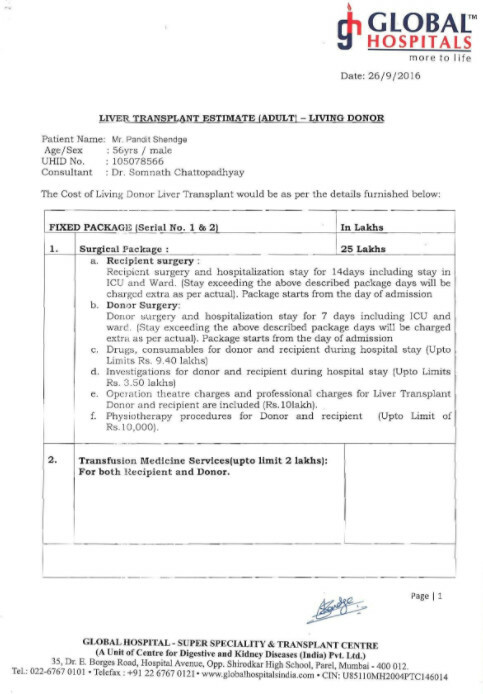 Finally after exhausting all other medical means, the doctors have suggested liver transplantation. Myself, elder son of our family is the donor. Presently in our family, I am the only earning member. Family is totally dependent on me which includes my parents and younger sister & brother. We have been struggling very hard to take care of our father. But this liver transplantation, pre-transplant tests and the post care is such an expensive procedure that it has gone beyond our means.Expected total expenditure is approximately 30 lac. I keep seeing crowd sourcing initiatives and how it completely changes people's lives for the better. So I thought of reaching out to my friends and well wishers for help. Please help us to raise the funds for my father's operation and to save him. I would be grateful for every little help that comes our way.